AMT is a Colorado based company specializing in test fixture and automation design. Our capabilities include a 10 CNC machine shop with expertise in 3D prototyping and production machining. AMT is based in Denver, CO. However, we provide services to many clients throughout the United States. Our engineering staff is comprised of experience medical product development engineers and talented automation designers. Our engineering department culture and proven project development system are truly state of the art. 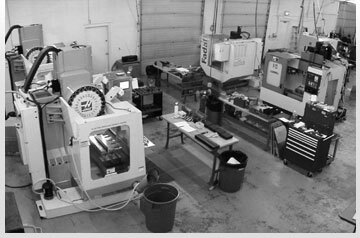 Our machining staff is comprised of senior level prototyping machinists and instrument makers. In addition, AMT has the staff and equipment to provide competitive production quotes. Quality is our focus.